1- Since 1977, as a matter of life-long principle, we have defended the Coptic Christians in Egypt, based on our ideals and morals in life, not as a means or a source of money-gaining, hypocritical endeavor. We have presented ourselves countless times as a partner to help and cooperate with Coptic leaders in Egypt in their struggle for Coptic rights and to alleviate Coptic grievances by introducing reforms; yet, we have been overlooked and ignored by them. If such cooperation were to exist in former years, the citizenship conditions in Egypt would have been ameliorated to a great extent, saving thousands of poor Coptic Egyptians as well as millions of poor non-Coptic Egyptians. 2/1: We are the very first Azharite scholar to volunteer to defend Copts inside and outside Al-Azhar University, and this defense goes on until now in our old age. 2/2: We have written tens of books and articles in defense of Copts; and such quantity and quality of our writings in this respect are unparalleled within history of Muslim authors. 2/3: Our writings are not the best only in terms of quantity and quality, but in terms of the minuteness and accurateness of research as well. 3- Our only fault – if it could be deemed as such – is that we have been addressing Muslims for the sake of their reform from within real Islam, intellectually attacking – using the Quran – Wahabism as it is the terrorist religion that has spread fanaticism, bigotry, and extremism among the Egyptian Muslims when it dominated their cultural and religious life. We had to elucidate and clarify the deliberately ignored tenets and facts of Islam, found exclusively in the Quran, as well as the bloody history of early Muslims since the Arab conquest of Egypt among other countries, setting a clear barrier between Islam, as a religion with its commands and prohibitions, especially the Quranic Ten Commandments found in 6:151-153, and Muslims as human beings with their human history, heritage, traditions, faults, shortcomings, weaknesses, as well as earthly, man-made religions that contradicts Islam found only in the Quran, and such fabricated religions vary in their degrees of accepting the other who differs in denominations, making the worst of them all the Wahabi Sunnite Ibn Hanbal religion. 4- It is certainly to the benefit of Copts in Egypt that our intellectual endeavor of elucidating the deliberately overlooked Quranic facts and tenets of Islam (e.g., secularism, direct democracy, absolute religious freedom, and the fact that any citizen within the Islamic notion of the State is the peaceful one regardless of his/her religious beliefs) should be made known by Copts all over Egypt. By propagating the real facts of the Quran, ignored for centuries, the Coptic rights will certainly be protected and obtained, especially their right to be treated as equal citizens, receiving all human rights, justice for all, and absolute religious freedom. Yet, sadly, the exact opposite has happened to us; most Egyptian Copts ignore our endeavors and intellectual reform projects. One of the reasons of such overlooking is the fact that we write within an Islamic (i.e. Quranist) stance and viewpoint; even some Coptic writers accused us of being an extremist fanatic! Those same Coptic writers hail and support any writers and authors who attack and try to refute Islam as a religion, even if writings of such writers and authors are nonsense and balderdash written by ignoramuses. Such balderdash is immensely admired by Copts, despite the fact that such nonsensical writings increase Egyptian Muslims' fanaticism against Copts as the latter hail anti-Islam writings. Such writings of ignoramuses describe religious Wahabi terrorists as ''Islamists'', thus unwittingly lends legitimacy to their acts of terror, which are against Islam of course. Such attitude has been prevalent even in Egyptian media, leading to more acts of armed violence against Copts disguised as a form of ''jihad'', thus overlooking and ignoring our reformist writings and our life-long intellectual jihad to reform Muslims. Some of such hate-inciting writings urge readers against us as we are labeled as a non-Muslim because we are a Quranist and because of the fact that such nonsensical writings describe the terrorist Wahabis in Egypt (this includes the Salafists and the terrorist MB members) as ''Islamists'' exclusively, while we are, as an author, labeled us the archenemy of Islam and of Prophet Muhammad, especially that we defend Egyptian Copts, who are still being considered by Wahabis as ''infidels''. We have notified in our writings several times about this grave error found in most writings by Copts: they insist on describing the Wahabi terrorists and sheikhs as ''Islamists''; this is a great wrong that should be amended only by describing them as they really are: Wahabis. ''Islamist'' as an epithet to describe writers should be used with reformists like us. We urged Coptic authors many times to correct such a grave error, but in vain. 5- Hence, being overlooked by Coptic thinkers and authors has turned into another serious crime: aborting our reformist endeavors of Quranists, while poor, weak Copts of Egypt pay the price. Those poor, weak Copts are the ones we care about. We as an author go on with our intellectual endeavor in reformist writings while the Coptic stance against us goes on until now! 1- Within our Ph.D. thesis, which Al-Azhar University panel insisted on countless changes be made to it in 1977, the conflict between us and this Azharite panel went on until we agreed eventually on the omission of two thirds of the thesis, and during the viva, the remaining one third only was discussed to allow us to obtain the Ph.D. degree in October, 1980, with the highest honors. Within such a conflict, the Azharite panel insisted on the omission of a whole chapter of our Ph.D. thesis about the persecution of Copts during the Mameluke Era, within a part on the religious life in Egypt within the Mameluke Era. We had to omit it; yet, our insistence on mentioning the persecution of Copts led us to move the whole chapter, with few slight expurgations, into the part on the political life in Egypt during the Mameluke Era. Luckily, the Azharite ignoramuses of the panel never sensed what we did. Hence our Ph.D. thesis is the very first one within Al-Azhar University to discuss openly within one chapter of it the persecution of Copts in Egypt. 2- Within our book titled ''Al-Sayed Al-Badawi between Myths and Facts", published in print in 1982, we have disclosed for the very first time the conspiracy that was plotted by followers of the Shiite saint, Al-Badawi, in the Mameluke Era, to demolish all Egyptian churches at the same time all over Egyptian cities to seek revenge on the Mameluke caliphate, and by the end of this book/research, we have warned against the danger of the Wahabi/Salafist call in Egypt in the 20th century and we have called for the urgent endeavor to begin critical readings of books of theological heritage and traditions. 3- In 1984, we have written and published four books to teach to Al-Azhar University students within the History Department. Among those four books were two important ones. The very first one is titled "The Character of Egypt after the Arab Conquest", in which we have detailed the persecution of Copts shortly after the Arab conquest of Egypt, and we have proven the similarity and oneness of the Egyptian religious life within the three eras: the Pharaonic, the Coptic, and the Arab ones. We have clarified how Egyptians had Egyptianized both Christianity and Islam under Pharaonic notions, symbols, and names, and then Coptic/Christian ones and later on Arab/Islamic ones. Thus, we have proven that the Egyptian religious culture and life have one Pharaonic root that has changed its names but never its origin and symbols. This calls for more tolerance to exist, not more fanaticism and extremism. The second book is titled "Research in Sources of Religious History: a Practical Study", and within this book, we have discussed the fact that the religious culture of Egyptian Muslims has remained the same as that of their Pharaonic and Coptic predecessors, based on historical sources and documents and how to research through them. This has been the very first time in the history of Al-Azhar University to discuss such a topic using scientific research methodology and documents, resulting in identifying the contradiction between Islam as a religion and Muslims as human beings whose religiousness has been in many cases contrary with real Islam (i.e., the Quranic teachings alone), despite the fact that they hoist the banner of Islam. What we have discussed with our students at the time was that it would be better for Muslims, before they mock and deride Christianity and Copts in general and accusing them of deifying Jesus Christ, to reform their own religious notions derived from the Sunnite, Shiite, and Sufi books that deify all prophets and imams and theologians, as done by followers of former religions that have existed before the advent of Islam. 4- During the 1980s in Egypt, we have been roaming mosques of Cairo and other cities and governorates to preach the Friday congregational sermons, propagating Quranism. Chief among the topics of our sermons at the time was the comparison and showing similarity between the practical religiousness of Egyptian Muslims and Copts, to assert the vital importance of reforming Muslims from within Islam itself (i.e., the Quran alone) instead of focusing their attention and interest on proselytizing Wahabi/Sunnite religion all over the planet while looking down disdainfully and scornfully at Copts of Egypt and at non-Muslims in general. During one sermon in a mosque in Alexandria, Egypt, we remember that we have talked about the birth of Jesus Christ as narrated in the Quranic Chapters 3 and 19, pinpointing the fact that the Quran never mentions anything about the birth or the upbringing of Prophet Muhammad and his life before the revelation of the Quran, except in the Quranic Chapter 93, especially this verse: "And found you misguided, and guided you?" (93:7). Within this particular sermon, we compared and contrasted the environment of faith and belief in which Mary and her son Jesus were born and brought up and the environment of polytheism in which Muhammad was born and brought up, and how God had saved Muhammad from misguidance by guiding him, making him the seal of prophets. As usual, people at the mosque shouted at us and raised their voices in protest, and hot debates ensued after the end of the congregational prayers, with us refuting protestors' claims and their accusation using the Quranic verses alone. 5- During such times, we have not yet made any acquaintance with any Coptic citizen or writer/author. The very first time we get to befriend a Copt was in 1989 when we joined intellectual forces with the Egyptian late thinker Dr. Farag Fouda in the call for reform which is based on human rights and citizenship rights. After Dr. Fouda was assassinated in Cairo in June 1992, we as a thinker/writer went on with the route of calling to religious reform alone. 6- In addition to our writings, articles, and books, we have participated in the formation of ''The Popular Front for Facing Terrorism'', as we were its issuer of religious edicts and held the same post for all human rights and enlightenment societies and organizations at the time, and among our activities was to help and support the victims of terrorism that struck Upper Egypt in the 1990s. We have continued our intellectual endeavors in Ibn Khaldoun Center between 1996 and 2000, within the weekly conference of the Center, making the very first topic of discussion the plight and persecution of Copts, and how reform of Egyptian educational systems will help a great deal with the prevention of such persecution. We were the main founders of this education-reform program project. Later on, we have participated in USA-based conferences held by Copts, and we have defended them within all our power to the extent that we often used to forget to mention the persecution of our folks and extended family members and other fellow Quranists in Egypt, about whom the conferences' Copts never cared to hear! 7- Eventually, we paid the price of defending Copts by being persecuted and incarcerated in Egypt, while Coptic major figures have ignored our suffering and our ordeals, forsaking us while we never relented in supporting their cause and rights. 8- Of course, there are few individual Copts among the noble personalities who have sympathized with us and we are still feeling thankful and grateful to them. 1- Before establishing our IQC and launching our website, we have published our articles, among them several ones defending Copts, within websites like Modern Discussion, Arab Times, and Middle East Transparent. After we have launched our Quranism website, we have re-published such articles here online, and some of them have been grouped within a book form, published on our website as well. Our website still exists until the present day, overlooked totally by Copts and other non-Copts. 2- A glimpse on articles and books we have published online about Copts on our website and on the Modern Discussion website would reveal the following features. 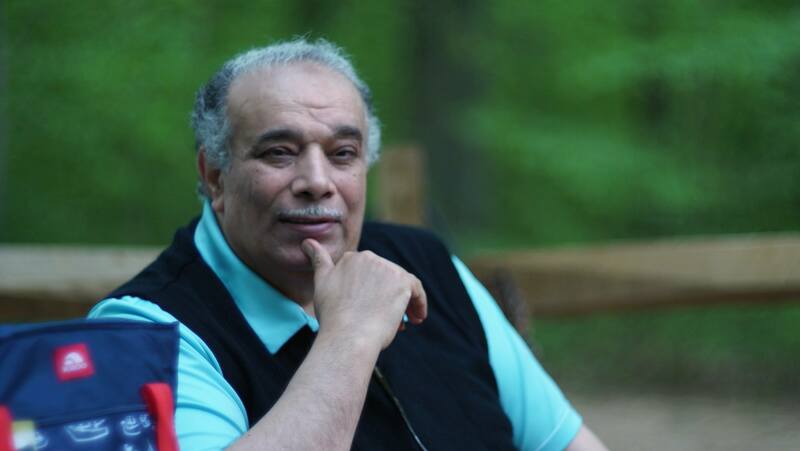 2/1: We are honored to have Coptic thinkers/authors writing articles on our website, publishing their articles themselves or sometimes sending them to us via email to publish them on their behalf, despite our limited free time-space, like articles of Mr. Magdy Khalil and Mt. Kamal Ghobrial. 2/3: We have written and published books and articles that attack and refute Wahabism and its sheikhs and clergymen as well as caliphate rule system and caliphs, pinpointing how Copts in several eras were persecuted and in our era as well, and some of these books were a series of articles that were later on grouped in a book-form, and these include the following titles. "Refuting the Punishment of Apostates who Deserted Islam", was a book published in 1993 in print, celebrated by the late Pope Shenouda III, who told us personally during a private meeting with him things we have not known before about the danger of punishing apostates when such a Sunnite notion has been applied to Copts. Other books include the following titles: "The Persecution of Copts in Egypt After the Arab Conquest", "Conditions of Jews and Christians within the Application of Sunnite Sharia during the Era of the Mameluke Caliph Qaitbay", "Who Is the Other in Islam?" this book is about the fact that Egyptian peaceful citizens are brethren, despite differences in creeds and denominations, ''Islam as a Religion of Peace Apart from Muslims", which focuses on clearing the name of Islam from the bloodshed committed by caliphs and the so-called companions of Muhammad and those who followed their footsteps in terrorism and violence, "A Campaign Calling for Prosecuting Terrorist Sheikhs in the International Criminal Court", "They Deceived You when They Said that Islam Came to Egypt", refuting the historical hypothesis that Amr Ibn Al-As brought Islam to Egypt by conquering it as an invader who killed and struggled for loot, and ''Islamic Tolerance between Egypt and the USA''. A book titled "Al-Makrizi the Historian and the Culture of Conquests of our Age", explaining the culture of fanaticism revived by today's Wahabism in the 20th century, causing the persecution of Copts, a book titled "The Cursed Religion of ISIS", about the fact that the religion of ISIS is the Wahabi Sunnite Ibn Hanbal creed, adhered, propagated, and defended by Al-Azhar now, causing the persecution of Copts, a book titled ''A Warning to Muslims against Mixing Religion with Politics", to warn against the danger of the terrorist MB members who are criminals abusing Islam, a book titled "The Seven Principles of the Real Islamic Sharia and How to Apply Them", showing how Copts should enjoy within Quranic sharia, if applied properly in Egypt, full rights, equality, and citizenship, unlike the case with the Sunnite Wahabi sharia of bloodshed and extremism, a book titled "The Unspoken-of History of the Pre-Umayyad 'Righteous' Caliphs", showing how the crime of Arab conquests were so heinous and how they are repeated now by ISIS terrorists, a book titled "Constitution of Morsi the MB President: An Analytical Historical Study of Roots", which exposes the Wahabi roots in the MB constitution of 2012 in Egypt, a book titled "The Character of Egypt after the Arab Conquest", discussed above, and a book titled "The Wahabi Oppositional Movements in the Kingdom of Saudi Arabia in the Twentieth Century", showing how the KSA has endeavored, with great success, to spread Wahabism in Egypt, and how Abdul-Aziz Al-Saud was the real founder of the terrorist MB organization in Egypt as well as other Salafist societies in Egypt in the 20th century. 1- If we were to go on working in Al-Azhar University using our research skills to spread extremism and enjoying Saudi money gifts and bribes, we would have been a millionaire by then with high stature and power, avoiding all ordeals of being persecuted and incarcerated, and rich Copts would have sought our friendship. Of course, we have chosen the Truth and to spread Quranism as much as we can via our writings online, seeking Only to please Our Lord God. Copts still ignore us and overlook our intellectual endeavors of religious and political reform - to say the least! 2- We defend Coptic Christian Egyptians but they have ignored us – to say the least! This is a fact that we dedicate – in our old age and as we draw nearer to death – to the current generation and the next generations.